Menu Updates at the Disney World All Star Resorts! The All Star Resort Food Courts can make you feel like a movie star, singing sensation, sports champ, or now a princess with a new cupcake fit for, well, a princess! See all the updates from these three resorts! 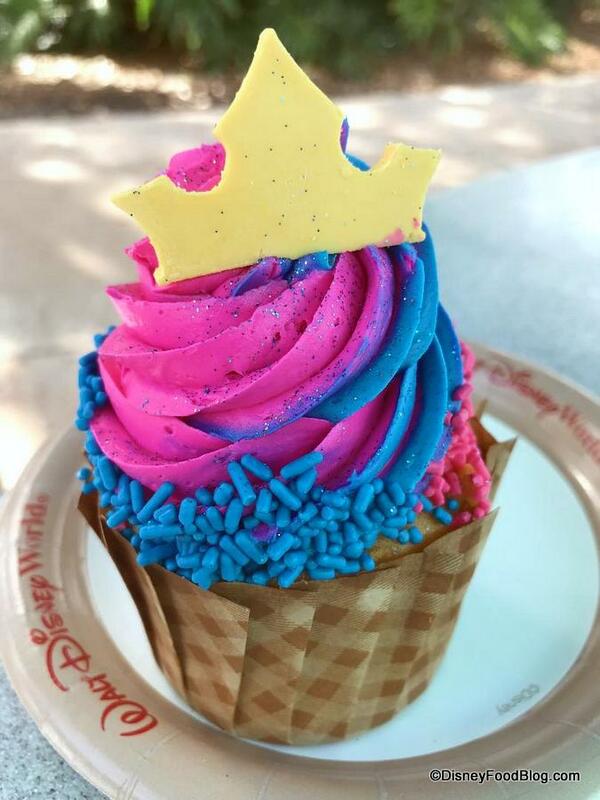 The All Star Music Resort is home to this special Princess Aurora Cupcake for the month of February — read our review of this limited-time cupcake and see if this is fit for Sleeping Beauty or not! 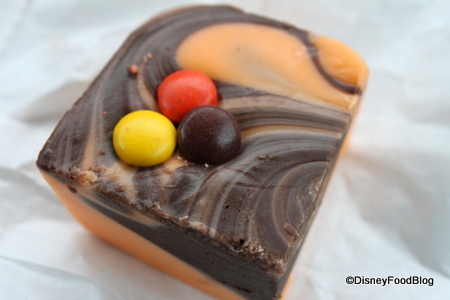 Located in many of Disney World’s candy shops during the Halloween and Thanksgiving seasons is this bi-colored, chocolate-peanut-butter Reese’s Pieces fudge!